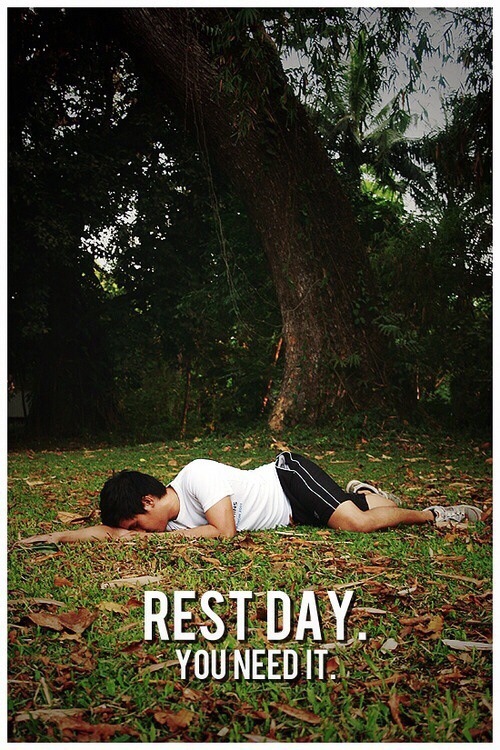 Erik’s Fat Boy Motivation: Today, I am thankful for rest days! My arms, shoulders, and core are mad at me this morning after my workout yesterday (pull-up sets, shoulders pulls and rotations, and planks… oh the planks…)! But its a good sore! That’s what rest days are for. They are there to give your body and your mind a rest and to appreciate all that you have put it through in your pursuit of physical satisfaction. I don’t know about you, but for me the level of mental focus and intensity I give to my workouts can sometimes be more exhausting than the workout itself. Be sure to incorporate a rest day, because your body needs the down time to rebuild (especially if you are just starting out). Although, all I will be thinking about today is form, technique, how to better attack my workout to reach my goal so my mind may not get the rest it really needs, but that’s ok its nothing that staring off blankly won’t fix! HAHA! Whether today is a rest day or a workout day, make it a great one!